LEDGlow’s Red Wireless SMD LED Underbody Lighting Kit universally fits 126 ultra-bright red SMD LEDs housed in (2) 46” and (2) 36” underbody tubes to any car! 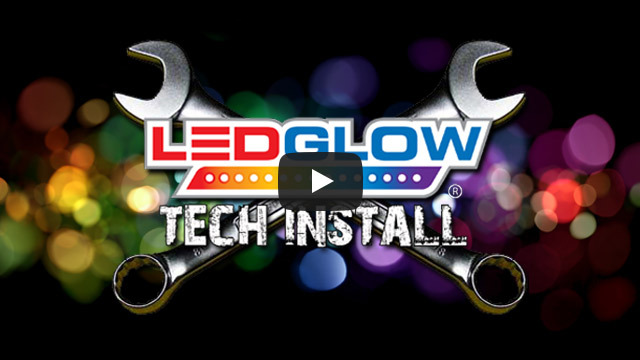 LEDGlow’s new and improved Red Wireless SMD LED Underbody Lighting Kit universally fits 126 ultra-bright, wide angle SMD LEDs housed in (2) 46” and (2) 36” underbody tubes to any car. Featuring a flat mount tube design with clear 15 degree angled mounting brackets that take up less space than the previous model, this revamped underbody lighting kit produces a much brighter and stronger color spill that surrounds the bottom of the vehicle for a custom, head turning look! I purchased this underglow kit for my 2004 Hyundai Tiburon and the light that are coming out of the Led's is very good and Bright, i had a slight problem with the lights in the back because i have a dual exhaust... But that light is now a inferior light haha it is all possible with these lights! Everything is very clear like the wiring and stuff and if you're havings doubts there is a manual and a good video to help you out. Overal exactly what i expected and more!